Seen one on the road yet? Ever thought about getting behind the wheel of one? Depending on the person, the concept of self-driving cars can be scary or exciting. However, no matter your personal stance on automated vehicles, the technology itself is fascinating. Self-driving cars are on the brink of mainstream reality, with companies such as Google and Tesla currently testing their prototypes. Over the next few years, the way we think about commuting is going to change in front of our eyes. 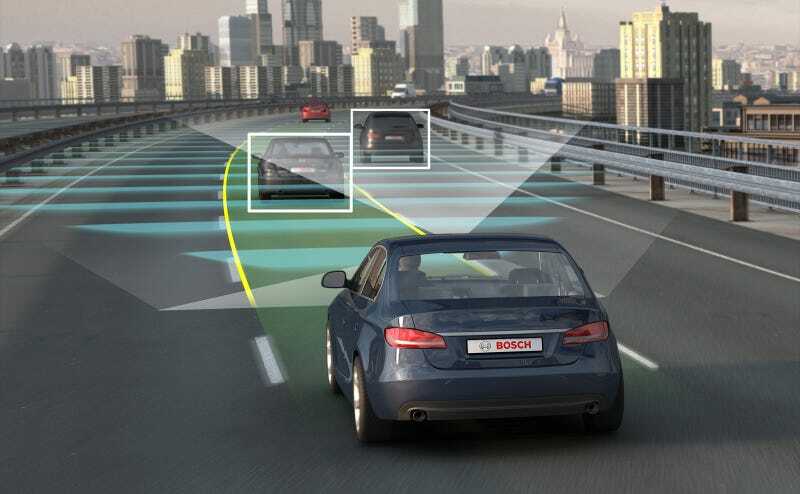 Boston Consulting Group has valued the potential market of driverless cars at $77 billion dollars by 2035, while the Brookings Institution believes 1 out of 4 cars on the road will be autonomous by that time. Tesla’s CEO, Elon Musk, has promised a fully autonomous car by 2018. If this comes to fruition, the autonomous car market would have 17 years of traction before 2035. With the pace technology innovation travels at, these predictions seem quite realistic. Whether or not the U.S. will be the leader in this new market is unclear; with few regulations, China is allowing companies to efficiently test their prototypes in throughout the nation. China could be the targeted destination for many companies developing automated vehicles because of their lax regulations. Big Players in the Automated Landscape. The driverless car market is already a crowded space to enter, with over 33 different tech and auto companies attempting to tap in to this potential market. This group of 33 ranges from traditional automakers to software giants. What initially looks like a race between auto and tech companies will likely mold into a cross-collaboration between the two industries over time. Google’s subsidiary company, Waymo, is one of the industry leaders in self-driving technology. They recently slashed their price by 90% on their LIDAR technology that helps self-driving cars see the world around them. This price cut will help the autonomous market expand, as traditional auto corporations can take advantage of and collaborate with Google’s self-driving technology. 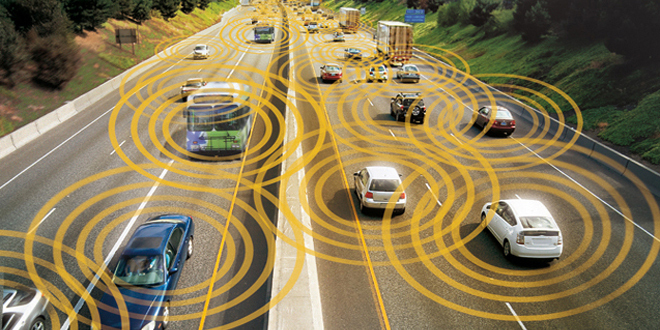 Automated vehicles may be the future, but they aren’t all sunshine and daisies just yet. They pose some very serious AI problems that manufacturers are still wrestling with. To overcome skepticism surrounding safety, driverless cars will need to demonstrate far better judgment than humans. Right now, autonomous vehicles are not at that point yet. There is concern over how AI will make moral decisions for the car. Consider the picture and below scenario. This self-driving vehicle faces two options in an unavoidable accident. Crash into the wall and kill all of its passengers. Or run into the group of pedestrians crossing the street. Although a rather gruesome picture, this moral dilemma, and many others, will need to be straightened out by the programmers and manufacturers prior to self-driving cars hitting the road. Right now, driverless cars best see the world on a clear and sunny day. They use cameras to detect the basic objects and traffic lights on the road. To date, there hasn’t been extensive testing in extreme weather conditions, which could pose a problem if a road were covered in snow. There has yet to be a clear direction on how to solve this problem, as the cars will need to adapt to various weather conditions. Another AI issue is how cars can detect what New York Times writer Neal E. Boudette classifies as “dark spots.” Recently, automated vehicles are having a tough time distinguishing any dark spot found on the road, whether it is a pothole, puddle, etc. Sound like a simple fix? Resolving this issue requires technology that can analyze these features on the road within a matter of milliseconds. These types of issues shed light on the natural cognitive abilities we have and use while driving, issues that AI will need to become proficient at handling. Furthermore, the problem of unpredictable humans on the road needs to be addressed. These automated vehicles may have no problem following the basic rules of the road under perfect conditions, or when surrounded by other self-driving cars. But what will happen when automated vehicles need to deal with drivers who run red lights or travel well over the speed limit? A potential solution to this issue is equipping cars with transponders to communicate their position with other vehicles on the road. While this technology is in its early phases, it would allow for automated vehicles to coexist among regular drivers. Going back to the 1 in 4 prediction from earlier, an entirely autonomous driving experience is too far in the future to call. Currently, there are many legal and technical issues that still hold back autonomous vehicles from taking over the road. Many of the self-driving companies have set forecasts to release their autonomous vehicles within the next five years. Expect to see more and more prototypes on the road in the coming months, as companies crack down on safety and address the above issues. For all the commuters out there, imagine being able to work during your morning drive. Read and respond to emails as your vehicle drives an hour to your office without any guidance. Towards the end of the day, you leave the office an hour early since you can finish everything from your car. The U.S. has a notoriously long average work week for full-time employees–47 hours. Add-on an hour commute each way, and you’re looking at close to 60 hours a week spent doing work-related activities. Gaining back those hours spent driving to work could be invaluable. Commuters, are you salivating yet? We hope you enjoyed this article. If you want to read about some self-driving cars debuted at CES 2017, check our our article covering all the highlights from this event. Also, we know you’ll love some of our other recent posts! What is Houseparty? How does it have >2M downloads?